Lawyers in the Palo Alto, California area frequently use video conferencing to hold remote meetings, depose remote witnesses, and much more. But video conferencing is incredibly versatile and may be utilized across all sectors of business. Companies that conduct business on a global scale can use video conferencing to consult with their vendors, clients, and colleagues who may be located anywhere in the world. This allows face time without the expense, time, and hassle of international travel. And when a corporation books well-equipped conference rooms for a video conference, there’s never any need to worry about whether the background looks sufficiently professional or whether the connection is strong. These days, many companies offer flex time that allows their employees to work partially or entirely from home. Some employees may even work on the opposite side of the country. Since face time can be advantageous, companies can set up video conferences to encourage employee connectivity and collaboration. The same benefits apply to employees who are traveling out of town on business. All that’s needed to connect to the office is a high-speed Internet connection and a webcam. Video conferencing has proven to be quite useful in the legal field. Attorneys often use video conferencing near Palo Alto, California to depose remote witnesses and keep in touch with colleagues and clients. 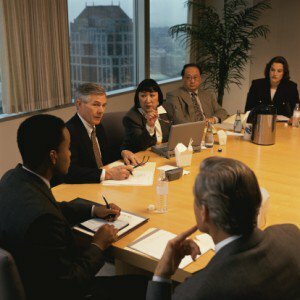 But the versatility of a well-equipped conference room extends to other areas of the legal field, including professional arbitration. Arbitrators often handle complex cases that can sometimes take as long to resolve as the average trial. They need to frequently communicate with all involved parties and juggle an intense schedule of meetings. Video conferencing technology cannot make a case any less complex, but it can certainly improve the flow of information and eliminate the hassle of coordinating meetings and travel among different parties. Video conferencing is an incredibly versatile tool. It may be used during any stage of the arbitration process, from the pre-hearing conferences to the arbitration hearings to the decision. In fact, some arbitrators manage an entire case from start to finish through video conferencing. The arbitrator and involved parties can all be in different locations around town or scattered around the country. Video conferencing technology streamlines the arbitration process by eliminating the need to travel. Some arbitrators may be hesitant to try video conferences, with good reason. The early technology didn’t lend itself to smooth, clear communication. The video quality was grainy and the audio was often choppy, and it could be disconcerting when delays occurred between a person’s speech and the movements of his or her mouth. But as long as arbitrators book well-equipped conference rooms with high-quality video conferencing equipment, there is no need to worry about clarity. Today’s technology offers exceptional audio and visual. Arbitrators not only hear every word clearly; they can read facial expressions and body language with ease. Another major benefit of using video conferencing technology in the arbitration field is its cost-effectiveness. Booking a video conference room is far more economical than booking a flight and hotel room. Perhaps even more significantly, remote arbitration proceedings save time for all involved parties.